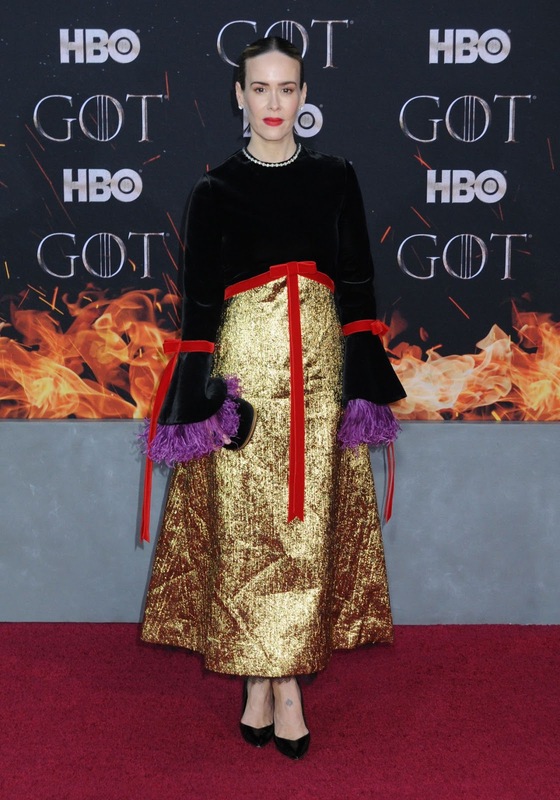 'American Horror Story' actress Sarah Paulson arrived in style to attend the Game of Thrones Season 8 premiere in New York. 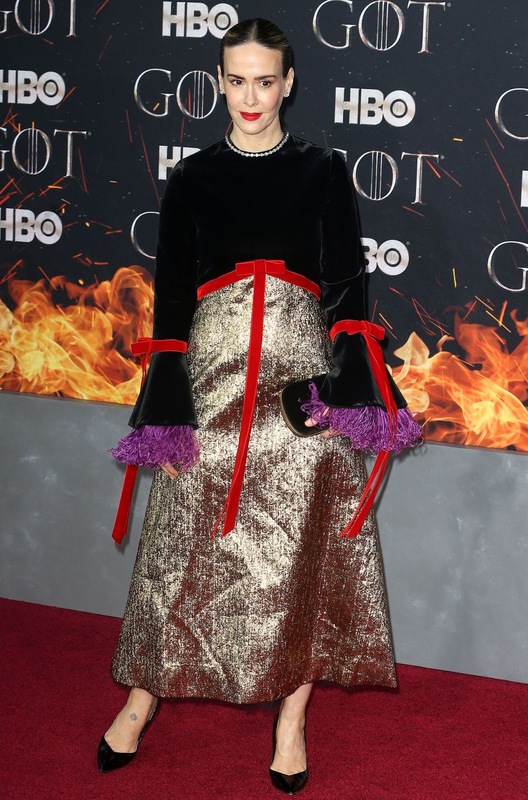 Cutting a glamorous figure, the 44 year old was clad in a chic Gucci Fall/Winter 2018 dress with a glittering gold bottom and black velvet bodice with full sleeves featuring fringed purple details. Cinching in her slim waist, Sarah tied a red ribbon around her torso and similar ribbons on her forearms. Her dress also had pearl embellishments around the neckline which gave the look of a necklace. The brunette wore her hair tied in a bun and parted down the middle, and topped off her style with black heels, a stark red pout and diamond stud earrings.